The first hints I had of Easter were random people carrying sticks. There seemed nothing special about the sticks, other than the fact that people had evidently spent some time gathering them or buying them from florists. I was even tempted to break all social conventions and ask someone, but shyness held me back. 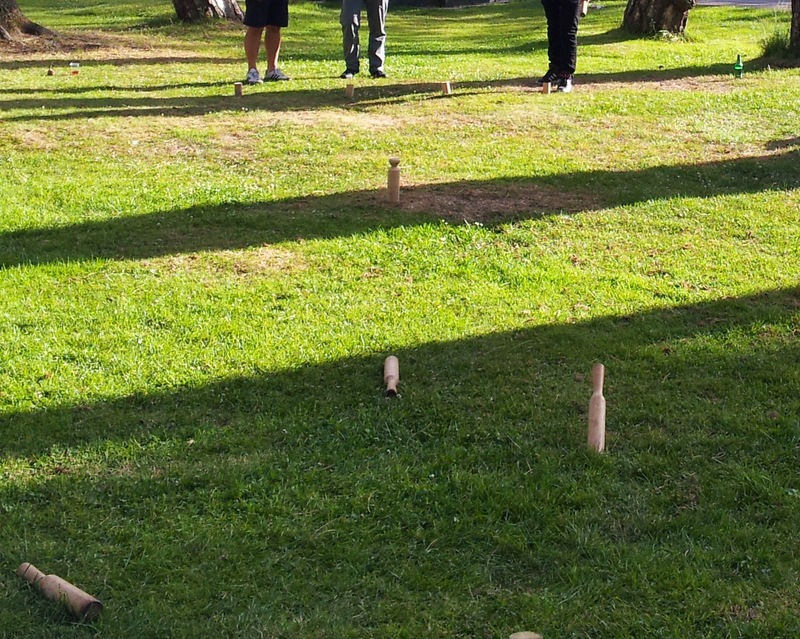 What was so important about sticks, I wondered, and should I be getting them myself? I asked other expats who suggested it had something to do with regrowth, and pointed out that if they had buds perhaps they would bloom. I was a little bit skeptical about the enjoyment you could get from watching buds slowly expand, and felt sure there must be another reason, no doubt related to traditions that are mostly forgotten. When I did some research and found out a possible theory, I wasn’t especially surprised that it had been swept under the carpet. Back in the 1800s people used to collect sticks for their children who would then whip themselves in memory of Jesus’ suffering. I would much rather watch buds grow. The next sign was with a flock of witches on a main street in the city. They ranged from adults to children, happily showing off their painted red cheeks and freckles, and adorned in coloured shawls and striped stockings. There were even a few brooms swinging around in the air, though no one seemed to be airborne yet. No one seemed to bat an eye at this open display of witchery and indeed it increased over the next few days. A group of older women were seen drinking in a pub, unmolested by mobs, but a majority of the witches were children skipping about town, asking for lollies. You may well ask why, in this day and age and in a country that though technically secular is nominally Christian, there are so many witches running about before Easter? So naturally I took to the internet to solve the mystery. 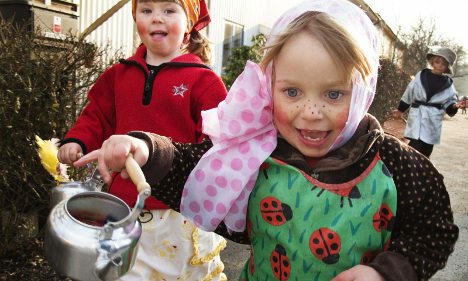 Easter hags, or ‘påskkärringar’ have their origins in the 1600s, when it was believed witches flew on their brooms to Blåkulla to make merry and cavort and do all of the things people would expect witches to do. Somehow this has translated over the centuries to a tradition of children dressing up as witches and wandering the neighbourhood asking for treats. It is all a little bit Halloween, except for the old style costumes that seem more like village women of the past crossed with Pippi Longstocking than costume shop items. 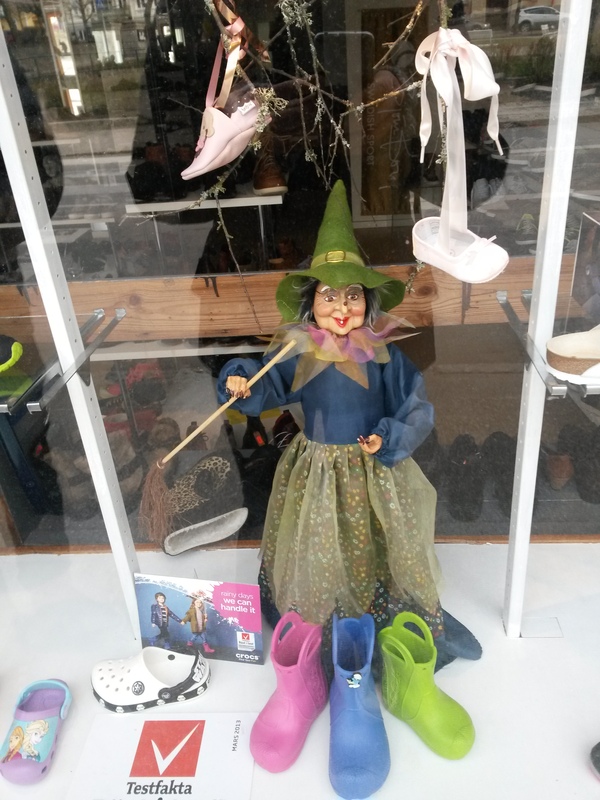 There were also witches in shop windows, statues and figurines this time, grinning on their brooms, apparently daring people to take advantage of the Easter sales. The witches weren’t the only decorations enticing people to enter and spend however. Trees, bushes and sticks across the country that were just minding their own business were festooned with brightly coloured feathers. 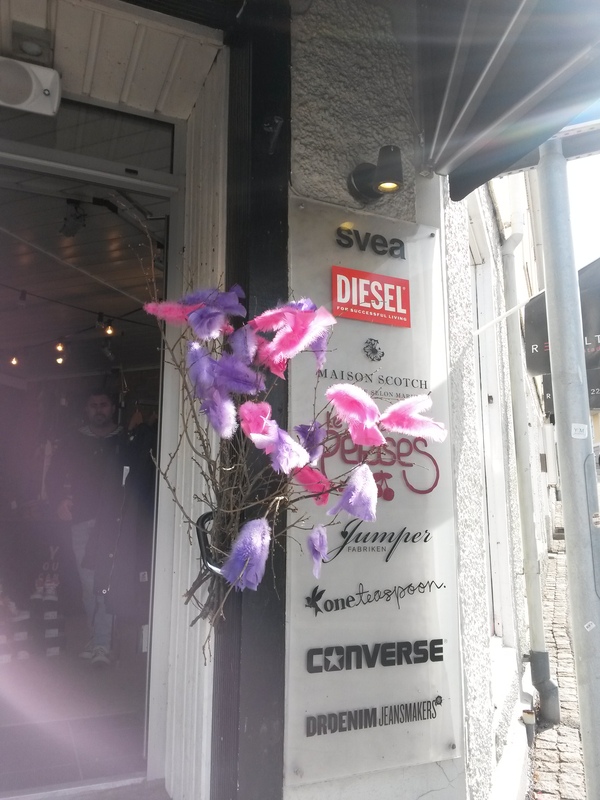 They were hung outside of shops fluttering in the wind, sitting in front yards and in vases in apartments. All those sticks that had been budding away were now decorated, sometimes also with painted eggs and animal figurines. These eggs were often painted by children, as I remember doing years ago. Though a globe is a hard surface for a young artist, I think I created a few nice examples with water colours, crayons and dyes. 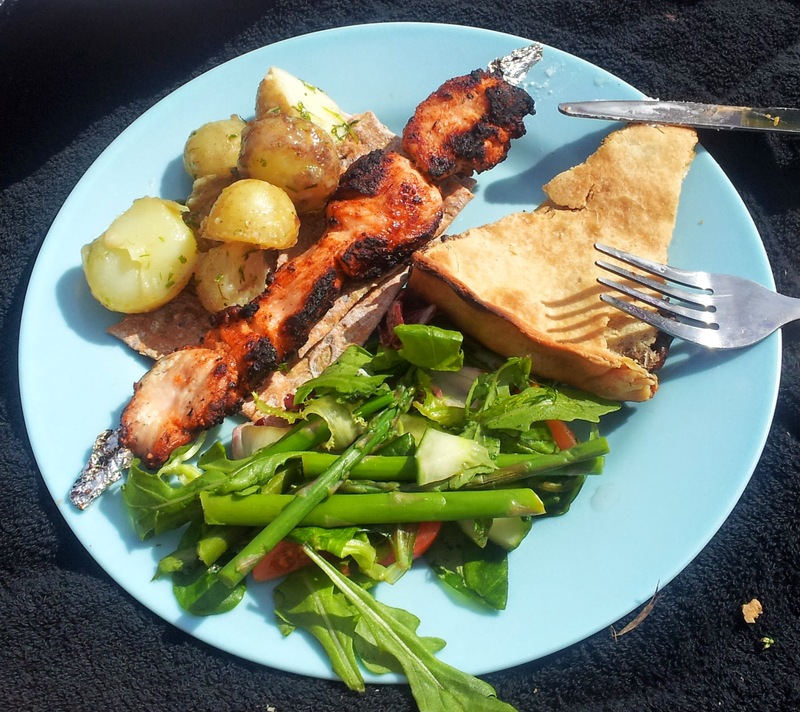 We then ate them on Easter day, the pretty bits of shell flaking away to be swept up later. Finally, did you think that in all this traditional symbolism that the Swedes have forgotten the most memorable part of Easter (for children at least)? While in Australia we’re nearly submerged in avalanches of Easter eggs, rabbits and bilbies when we enter a supermarket, the people of Sweden have found another use for eggs. The tradition here is to buy an empty egg, in card board or tin, and fill it with candy. 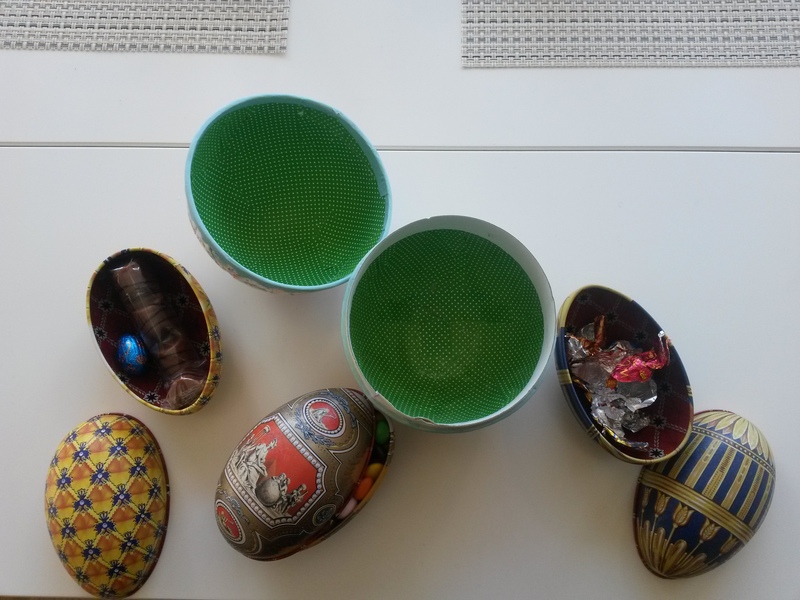 This is what my partner and I have done for the last two Easters, reusing the eggs and filling them with piles of candy for the help-yourself shelves at the shops. It’s amazing how much you can fit inside them, and conversely how quickly my partner can empty his. So that’s Easter here in Sweden. Of course I missed out the parts about staying at country houses and feasts with families and eating epic amounts of fish (every day ending in g is fish day in Sweden), as that part has passed me by, but this should serve at least as an expats experience of the Easter season. Or rather, Påsk. Interestingly rather than reference the ancient of Spring, this word derives from the ancient name for the Jewish Passover. Which seems to me, with all the pagan traditions, witches, feathers and symbols of rebirth to demonstrate quite neatly how much traditions have intertwined over time, and perhaps how impossible it is to untangle them, even if we wanted to. 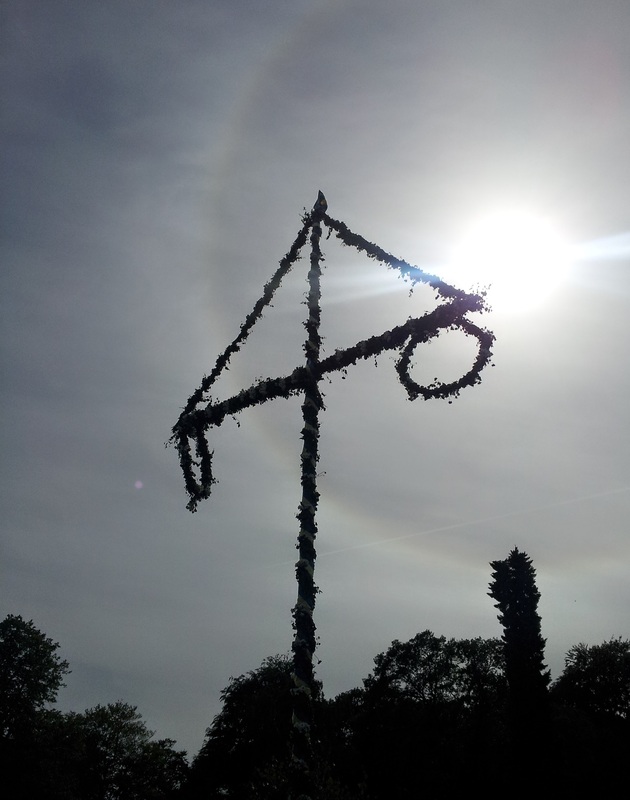 Since moving to Scandinavia we have celebrated Jul twice. Last year’s was unique in that it was the first away from our families, and the Jul just past in that it was our first ever white christmas. Yet if you look at the weather report for Göteborg there is only a smidgen on snow on Julafton and Jul, so how did we manage it? Well, we cheated. At around this time last year we went on a quick post-Jul trip to Norway, staying a couple of nights in Oslo and seeing the sights. On one day we decided to visit the hometown of my maternal grandfather, and while we were there a fortuitous series of incidents led us to an evening at the home of my mother’s cousin. This led in turn to a weekend in a hytta around easter and as the year drew to a close, an invitation to spend Jul at their home. So it was that on the 22nd of December we heaved suitcases filled with clothes, food and gifts and a set of skiis to the bus station, for the first leg of our journey to Lillehammer. We have now taken the bus from Göteborg to Oslo four times, and so far the repetition has not spoilt the beauty of the landscape. The forests and cliffs just before the border between Sweden and Norway is still stunning and rugged, and the sweeping road around the Oslo fjord hasn’t failed to distract me every time. With the latest trip we were also treated to signs of snow almost from the moment we crossed the border. As we neared Oslo it was lying in piles by roads and clinging lightly to trees. The street of the city were slushy and people strode around muffled against the cold. We broke up the journey with a night in Oslo, and so took it easy for the first day and night. We strolled around taking photos and looking for food, checking out the ice-rink that we remembered from a year ago and the lights strewn in the trees and between buildings. The following morning we started the final leg of the trip. Snow covered the tracks, and as we boarded and the train wound it’s way north, the snow deepened and thickened, creating a world of beautiful monochrome. At the final stop we disembarked and were met by my aunt (not exactly true, but easier to say that mum’s cousin) who greeted us with many velkommens and hugs. We had arrived. By the time we had been welcomed by my uncle, cousin and their dog and were settled in at their home, it was mid-afternoon and the setting sun was leaving an eerie blue light on the snow piled outside. This is known as the ‘blue hour’, and given the sun rises later and sets earlier than usual at this time of year, I got to catch many of them. We decided to have a look at the lights on the main street in town, and were offered the use of one of the family’s sparks (literally: kick). It’s basically a kick-along sled with a seat, and after a very quick lesson we were soon sliding our way into town, my work mostly consisting of holding on to the seat and going, ‘weee!’ a lot. Along the way we saw others sparking, including a lady with a christmas tree and very good balance. 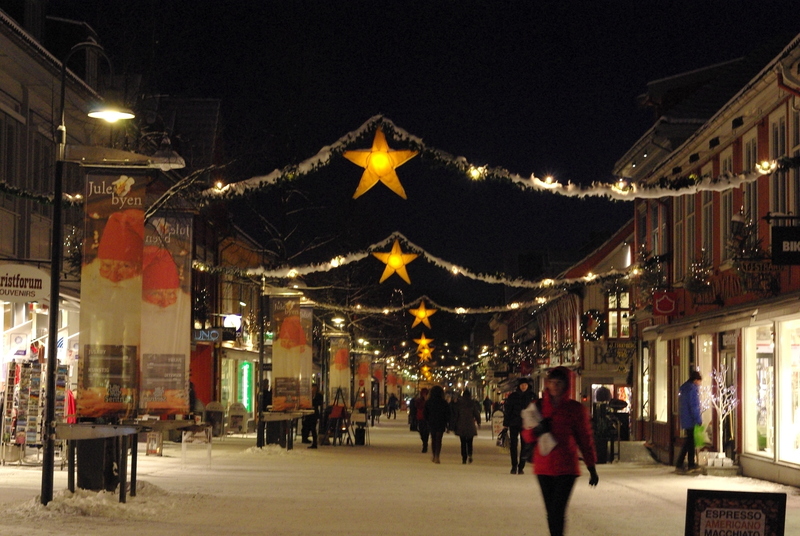 The mainstreet, on which cars and sparks were not allowed, was lit with festive lights and all the shops were open, some playing music and others handing out free glögg and cakes. We checked out the stores with traditional jumpers and craftware and explored the half-familiar streets, then as my hands began to get numb headed home. Along the way we met a curious cat, who seemed alternately fascinated and bored by the runners of the spark, and chased us for a little while. At home we defrosted and a little while later were rounded up for one of the very important Jul traditions: decorating the tree. My uncle had found it while we were in town and it was set up and bare when we arrived, waiting to be decked out in the boxes of decorations that suddenly appeared. So, armed with lights, baubles, figurines, tinsel, cognac laced glögg and the ambition to make the finest Jul tree ever, my cousin, my partner and myself set to. 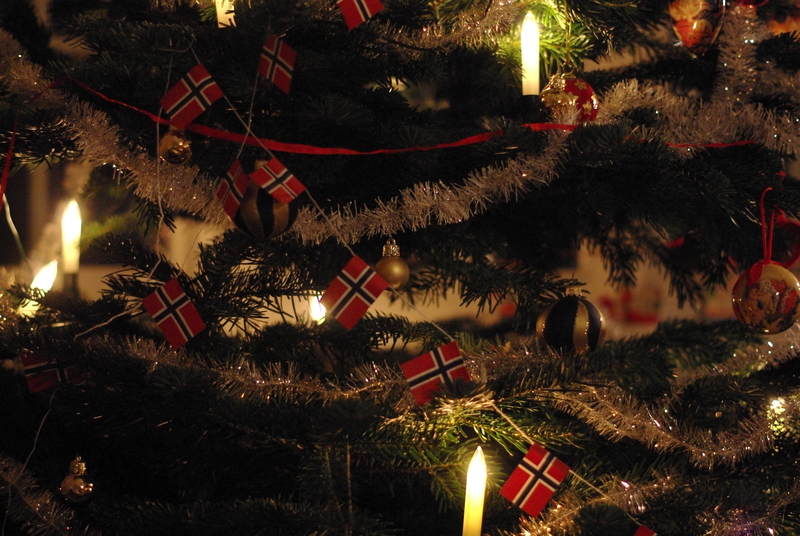 As if we were some sort of highly trained decorating team, the tree was soon full of light and colour, topped off with a string of Norwegian flags (though a single dalahäst gave it a touch of Swedishness). After congratulating ourselves and being treated to a very lively dancing Santa performance we settled down to the first of the traditional Jul meals. Lillejulafton consists of a vast array of delicacies, mostly meats and eaten with different sorts of bread. There was specially pressed pork from a local butcher, pork rolls, homemade spiced wild meat sausage, sliced lamb, sil, jam, mustard, flat bread made out of potato, bread rolls and the loaf that my partner had baked. There was also the rakfisk, a ‘lite’ version of the Swedish surströmming which I neutralised with many trimmings and actually enjoyed. This was all washed down with Julebrus, a Norwegian soft drink from a local brewery and wine. As the clock neared 19:00 my cousin began to look at his watch more often, and we were soon called to the tv room to take part in something very important, something that people all across Norway were rushing to their tvs to watch and enjoy: Grevinnen og Hovmesteren. This is an English language comedy sketch from the 60s about a butler and an elderly lady and is shown every 23rd of December. Apparently it was missed one year and there were complaints, as there were as well when it was late another year. As we watched all the favourite lines were called out and we laughed every time James tripped over the tiger. Exactly why this is such an important part of the Norwegian Jul tradition is unknown, but it may have something to do with the line, ‘Same procedure as every year,’ the main catchphrase from the sketch. In a country where everyone sits down to watch a sketch in another language year after year as part of a traditional holiday that stretches back before written history, perhaps this is an acknowledgement and a gentle joke at their own expense. As is often the case with meals in which you pick at the food and take helpings as dishes are passed around, we were all soon extremely full. After tidying up we settled around the fire and under the tree to chat until we couldn’t keep our eyes open any longer. 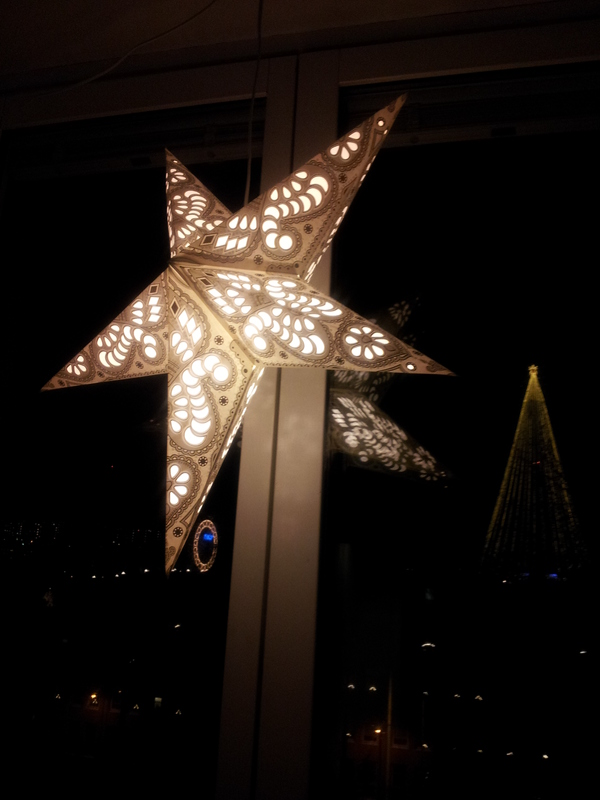 Soon followed sleep, to prepare us for the most important day of Jul in Scandinavia: Julafton. As I have been updating this post, the four advent candles have been burning behind my laptop, and a little while ago the first candle burnt out, leaving the others to slowly sink. It is the last Sunday of Advent and Jul is almost here. The sunburnt buildings and sweet tea of Istanbul seem a long time ago now, with winter settling in and Jul approaching. We have seen snow come and go, and the city unite in traditions that date back before memory. In sunny Australia where the sun sets after 7pm on a christmas night, the profusion of lights on houses and in trees are a glitzy and fun gimmick, to celebrate the season and create as much flash as possible. Here, as the days shorten and are more often overcast, the lights in the windows and in the trees keep away the darkness until the year turns again. Two of my favourite traditions I have seen in Sweden so far are related to keeping the darkness at bay and though are ostensibly Christian, feel like part of an older tradition. I must have heard something somewhere about Advent candles, as I’d been looking around for a candle-holder weeks before December arrived, to no avail. I wasn’t even sure exactly what to look for, other than assuming it held four candles and possibly looked like a smaller menorah. 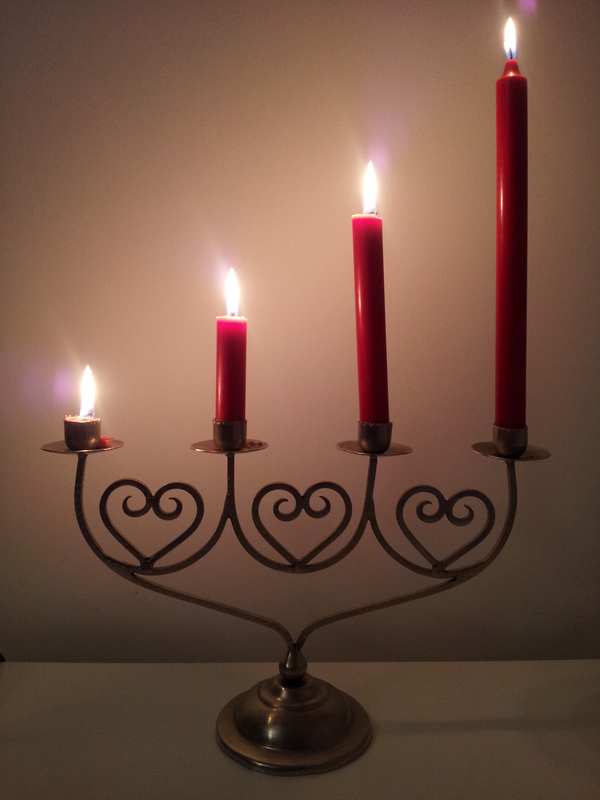 In case you’re reading this and wondering what I’m rambling about, the Advent candle tradition says that for every Sunday in December you light the first candle on the first Sunday, the second candle on the second, the third on the third and on the final Sunday all the candles are lit. As I understand it the tradition is some sort of count down to Jesus, but I like to think of it as a count down to Jul and the new year, and a good excuse to get involved in some old traditions. As the weeks went on they started to pop up all over the place, and I eventually found just the right one in the city. 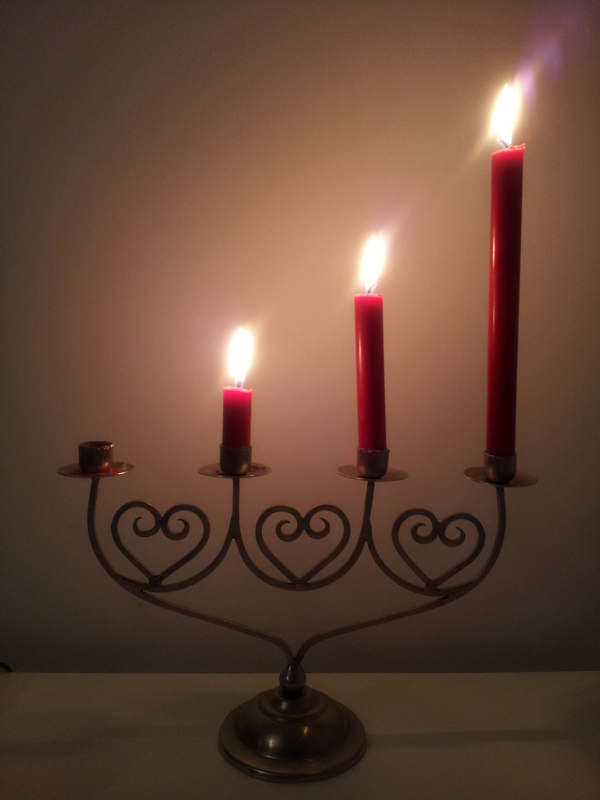 I got four red candles and eagerly awaited the first Sunday, and watched as other windows filled with candles and lights. Most other windows have electric lights, with multiple candles in a triangle shape, which I’ll probably get next year for the sake of practicality, but in my opinion nothing beats slowly burning candles lighting up a room. Wherever I go in the city, in every neighbourhood, office building and shop, almost all windows contain Advent candles, lighting up the room and a little bit of the world outside. There are also stars, in a variety of patterns and colours, which are hung instead of or over the candles, though what the specific tradition they represent is, I don’t know. Needless to say we have one. The second tradition begins with far off voices gradually getting louder, and light slowly filling a dark room. When I first saw it and heard it, at the Göteborg City Hall, I was transfixed. They had stuck with tradition, and the girl who entered the room first had 6 real candles on her crown, and the other 5 were wearing pure white robes and red bands around their waists as she did. 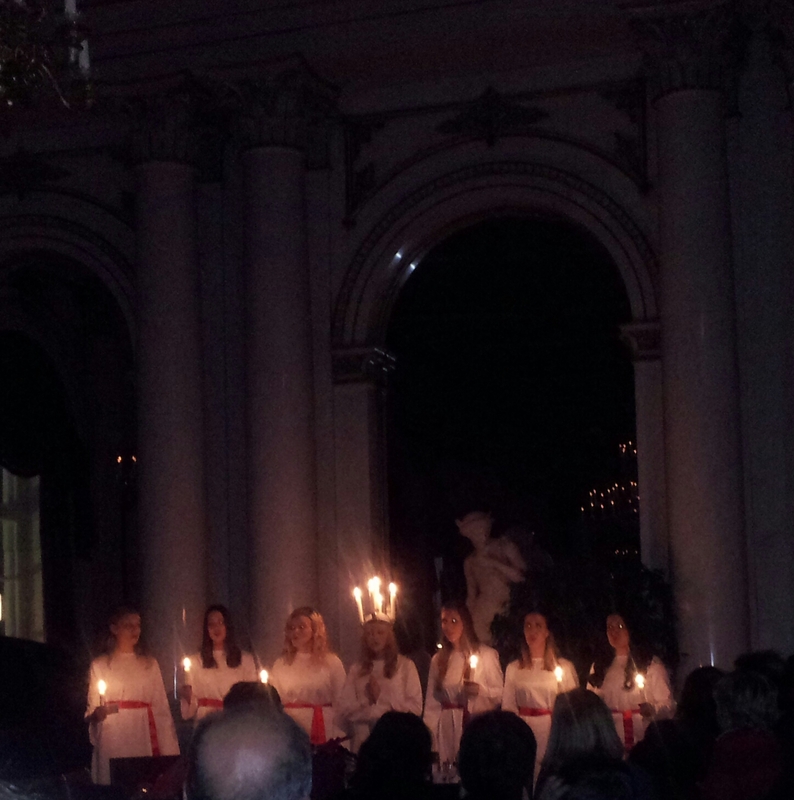 They were all singing the traditional song, Santa Lucia. 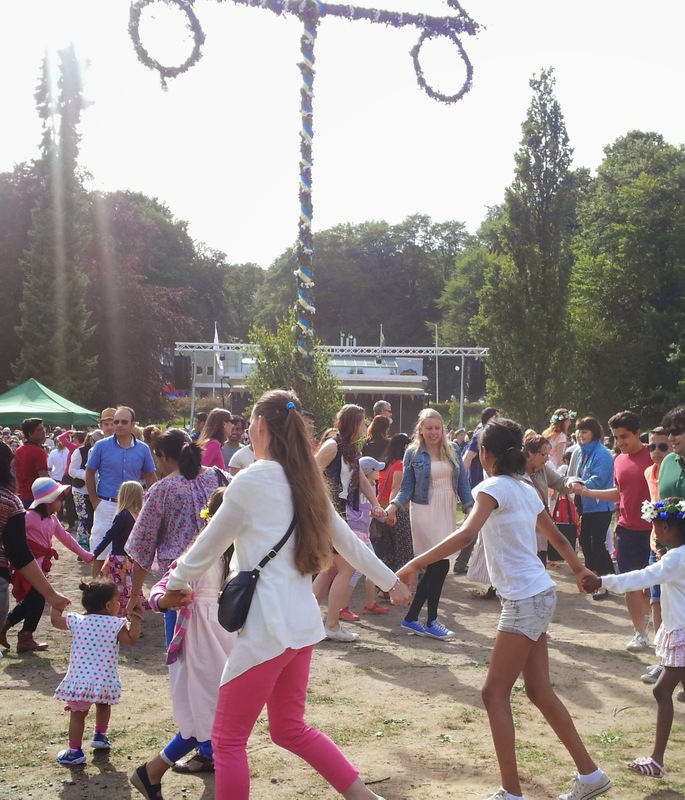 They sang a number of songs in Swedish, a couple in English and then ended with the first, slowly walking out in a line as their voices faded away. 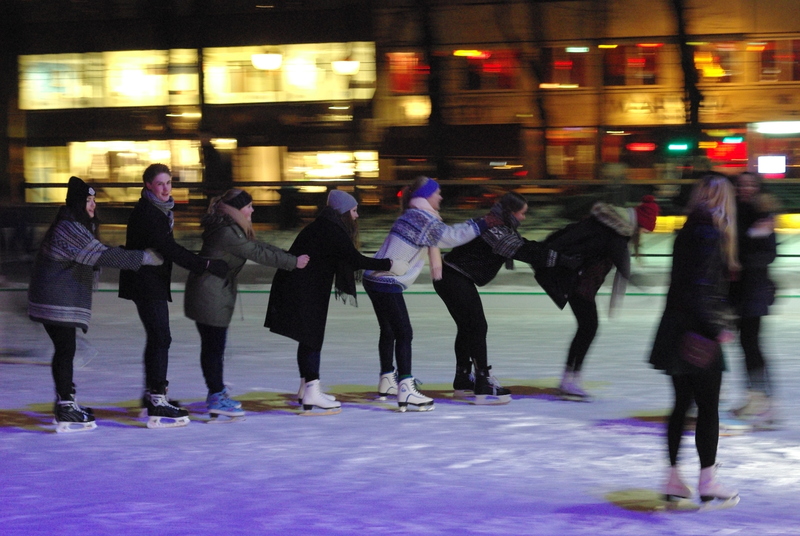 I have since seen a Lucia tåg (train) at my Swedish school and semi-accidentally took part in an attempt at the world’s longest Lucia tåg, both of which were more fun and felt like part of the glue that holds Swedish culture together. The first one I saw, though, felt magical and reverent. One version of the story says that in around 300CE there lived in Syracuse, on the island of Sicily, a young woman named Lucia. She was betrothed to some guy, and all was fine, until her mother became sick. She prayed to all the gods she could think of (this being in the late Roman Empire, they had amassed plenty for her to choose from) and ran from doctor to doctor to find a cure but to no avail. Then one night she dreamed of an angel who promised that her mother would get better if Lucia converted to Christianity, became celibate and did some proselytising. Despite Christianity apparently being a crime at this time, she agreed. So she went around talking about Jesus and broke of the engagement, which upset her betrothed (I assume that her mother also got better, as I couldn’t find a mention of her after this stage). He told the local law enforcers about her proselytising and they attempted to arrest her, but though they grabbed her and tried to drag her away they were unable to move her. Then someone else came up with the idea of stacking wood around her and set it alight, but even engulfed in flames she lived, until someone else stabbed her with a sword. Later she was made into a saint. 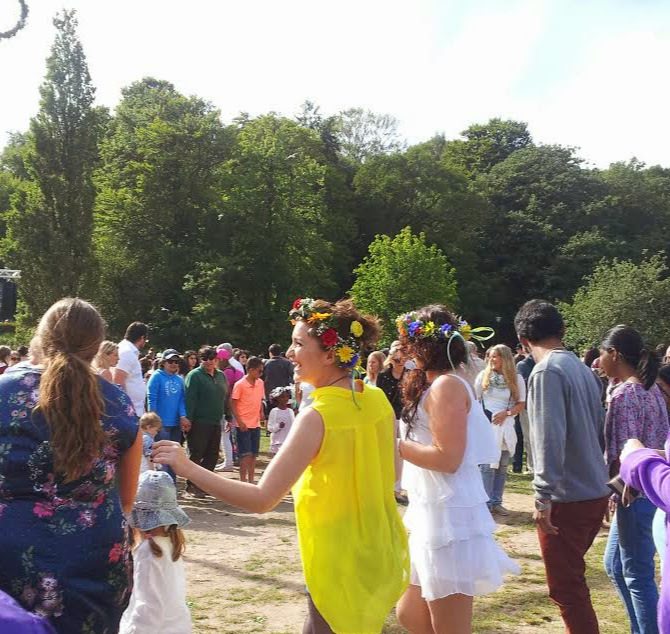 Even later than that her story was combined with ancient Swedish traditions and became the festival of today. 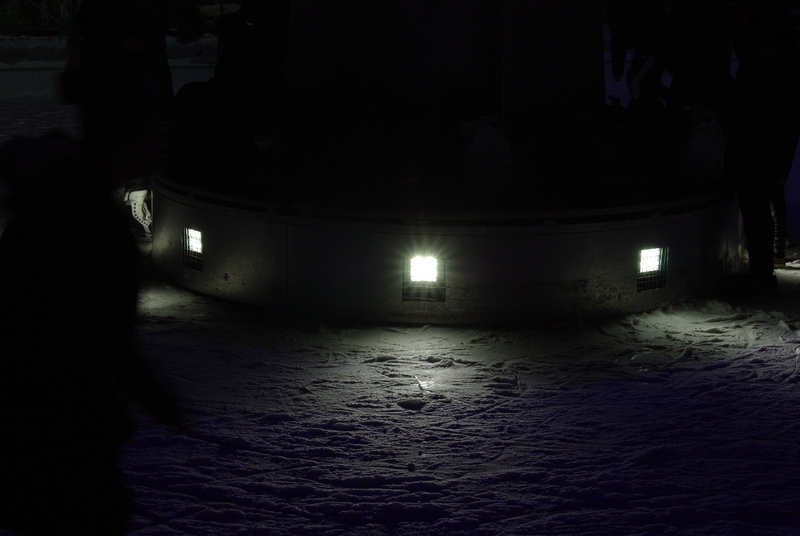 In addition of the procession of girls, and in some cases cone-hatted stjärngossar (star boys), on this night many younger people are said to party late into the night. This is supposed to be a celebration of the ending of the school or uni year, but again the tradition goes back further. An ancient Swedish tradition said that on the 13th of December the Lussi, an evil female demon, would fly around the land with her followers the Lussiferda, and kidnap anyone silly enough to be outside or who had been naughty. To protect themselves and the households people would hold a vigil all night long, keeping candles lit and watching the darkness. These days people don’t fear evil spirits who may steal them away, but some things last long after people remember why they started. Last night we held our own party to keep the darkness at bay, a gathering of friends who came to eat and drink and talk, and enjoy the warmth and light. It happened to be on the Winter solstice, and in memory of our country that had just celebrated the Summer solstice, we served kangaroo, among curry, pepparkakor, cheesy, nutty, honeyed bread and pastries supplied by one of our guests. Before the year is over, and as the year turns, we may gather with friends again in the night, with yet more eating, talking and drinking, marking time till the end of winter. In two days we’ll celebrate Julafton (christmas eve), opening the presents piling up under our little tree and watching by skype as our families open their gifts. Then we hope to travel somewhere not too far away, to explore more of Sweden and get away from the day to day life, and if we’re lucky see some snow. We may not get a white christmas this year, but it has so far been more of a christmas in other ways than I have ever had, apart from the lack of my family, which for me has always been the heart of Jul.